Since 1911, the YWCA has provided housing for women. Although programs have evolved as the needs of women have changed, the YWCA still continues to provide safe housing services to women and children. C.O.T.S. Stay Program (Complimentary, overnight, temporary, shelter stay) Reside with us from 8:00pm- 8:00am. Provided with safe sleeping option, shower, hygiene products, non-perishable food items, clean clothing. YWCA Emergency Shelter for women and children. A 45-day shelter stay program with wrap around services. Second phase housing Long-term housing for eligible women and women with children who need additional assistance. 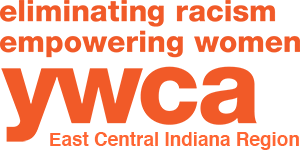 YWCA participates and facilitates racial justice programs and services that increase awareness, and transforms inequities in areas such as employment, housing, and voting. YWCA is actively involved in the annual Stand Against Racism campaign. Stand Against Racism, builds community among those who work for racial justice, raises awareness about racism, and encourages community members to take action for change. YWCA has an ongoing mandate to provide leadership development opportunities to women and girls. 76 percent of women and children served by YWCA have incomes below the federal poverty level or less, the equivalent of about $23,850 a year for a family of four. We work to address the unique needs of those living in poverty and strive for outcomes that increase emotional and economic self-sufficiency. We provide women with economic empowerment programs, housing, health care, and career education. YWCA seeks to improve the lives of women and girls by providing high-quality health and wellness programs that are too-often not available to disadvantaged and marginalized communities. YWCA continues to advocate for increased access to healthcare and supports public policies such as Affordable Care Act expansion that would greatly benefit the women, girls, and families we serve every day.